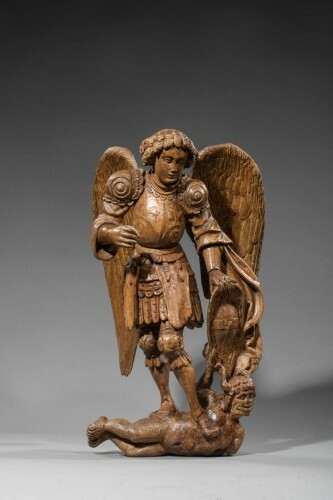 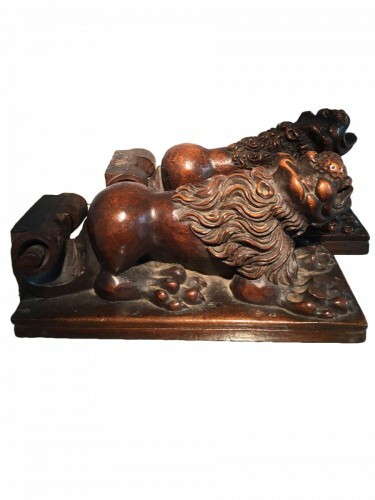 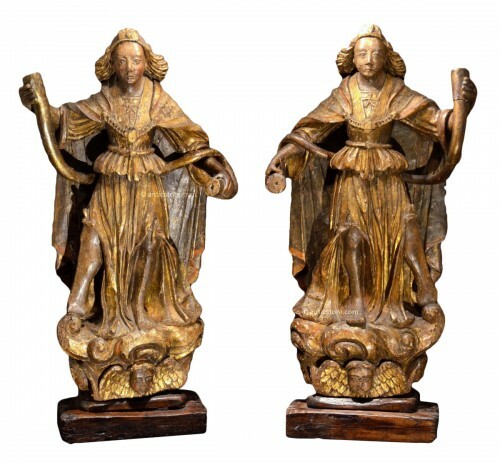 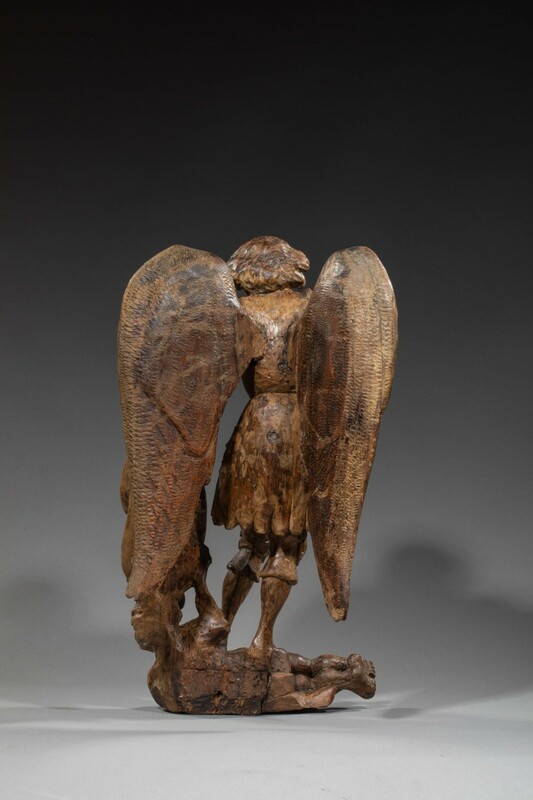 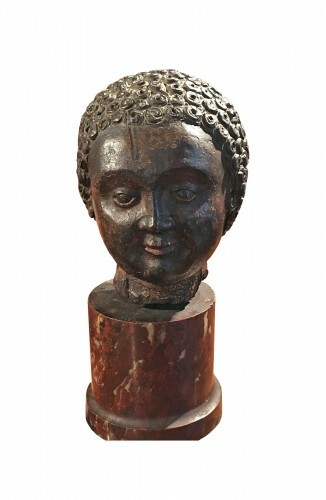 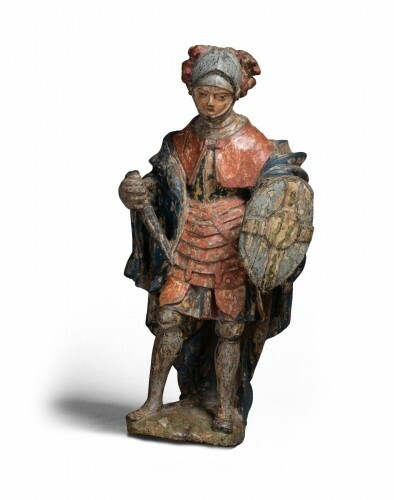 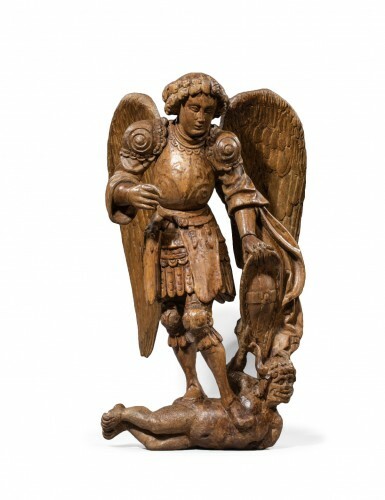 This walnut sculpture depicts St Michael defeating the demon. 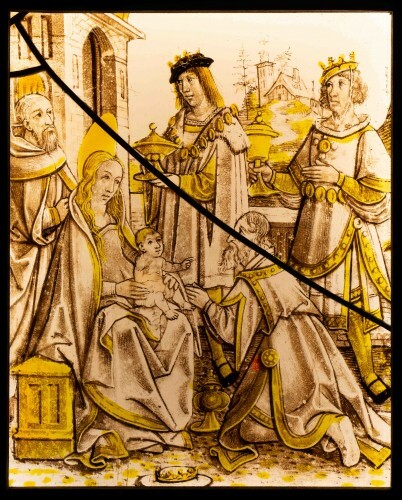 The archangel's antique armor is characteristic of the "First Renaissance" which flourished in France at the beginning of the 16th century in the Val de Loire region. 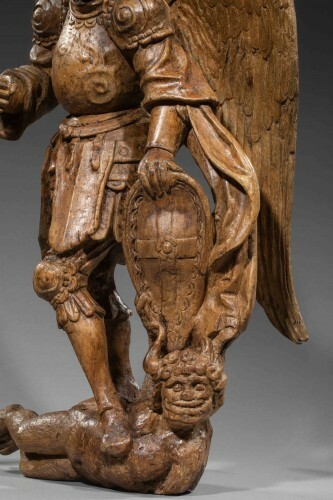 Oak panel with wyvern, Franc Circa 1520/30.